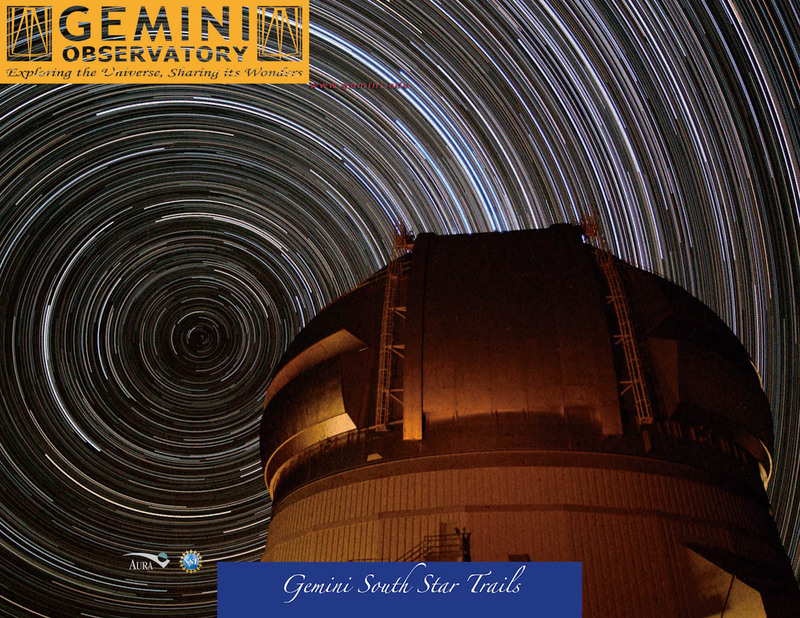 Out of Print Stars surrounding the South Celestial Pole appear to spin over the Gemini South dome in this digital star trail image. Images obtained every minute for a period of about 4.5 hours were stacked in Photoshop to create this image. 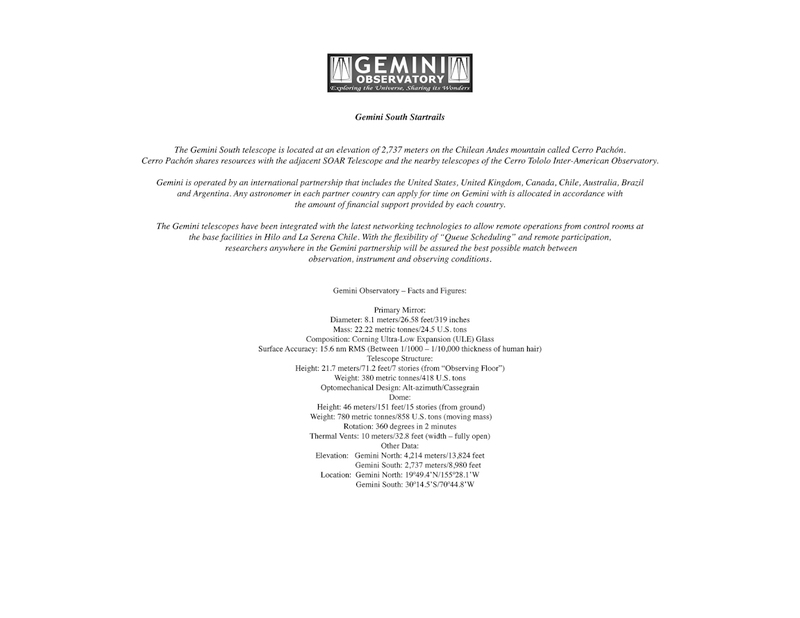 Print downloadable as: Front/Image - Full Resolution TIF (16.2 MB) Back/Text - Full Resolution TIF (5.4 MB) or Front/Image - Medium Resolution JPG (365 KB) Back/Text - Medium Resolution JPG (258 KB) Gemini Observatory Image/Video Usage Policy Image is available without text here.